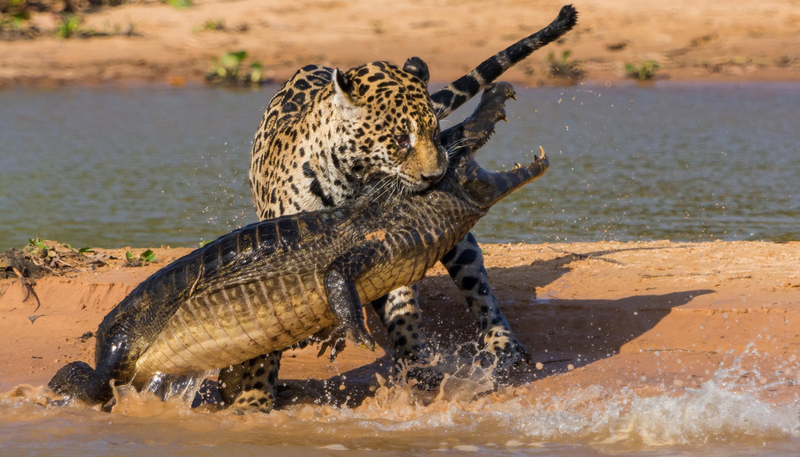 To commemorate the 50th anniversary of the prestigious Wildlife Photographer of the Year contest, the public is being given the opportunity to vote for their favorite images. Here are some astonishing wildlife photos that are seriously deserving of your vote. Top: "Apex Predators" by Justin Black. The contest, which is run by the Natural History Museum, will run until September 5th, 2014. The new category, called the People's Choice Awards, presents 50 pre-selected images chosen by a jury from more than 41,000 entries from almost 100 countries. You can vote for your favorite images here. Also, you can share your favorite via @NHM_WPY on Twitter using the hashtag #MyWPY. By doing so you could win a copy of 50 Years Of Wildlife Photographer Of The Year: How Wildlife Photography Became Art, published by the NHM.